The marriages of Henry Pigeon in 1701, and of Nicolas Pigeon in 1741 suggest that Pigeons lived on Jersey throughout the 18th century. 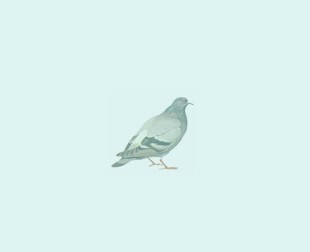 However a Pigeon family can only be traced from the marriage of Jean François Pigeon in 1795. In the 1830s another family appeared, that of François Pigeon, but evidence suggests that this family came from nearby Normandy, France. It is assumed that these are two separate families. Jean François PIGEON married Elizabeth NICOLLE at St Helier in 1795. We do not know where they came from, whether they were already inhabitants of Jersey, or whether they came from the Normandy mainland. The family of François PIGEON appeared on Jersey in the 1830s. The two elder children were born in Normandy, France, while the younger ones clamed to have been born on Jersey (from about 1830 onwards).